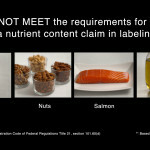 Current regulations, introduced 20+ years ago, do not permit foods like almonds, avocados or salmon from using the term “healthy” as a nutrient content claim because of these foods’ inherent dietary fat content, despite being recommended for increased consumption in federal dietary guidelines and by leading health and nutrition experts. Food policy effort is supported by a number of the world’s foremost authorities in nutrition and public health. 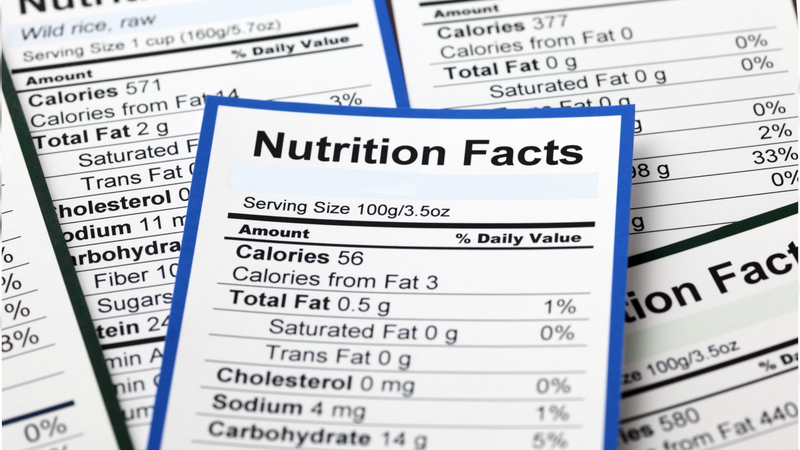 NEW YORK (December 1, 2015) – KIND, with support from leading nutrition, public health and public policy experts, is urging the U.S. Food & Drug Administration (FDA) to update its regulations around the term healthy when used as a nutrient content claim in food labeling. Today, the company filed a Citizen Petition with the goal of addressing outdated regulations, as well as helping to ensure that the public receive sound and consistent guidance about nutrition. The petition requests better alignment between food labeling regulations, the latest nutrition science and federal dietary guidelines. The petition reflects broad support within the food science and nutrition community to call attention to the importance of eating real foods made with wholesome and nutrient-rich ingredients as part of a healthy diet. 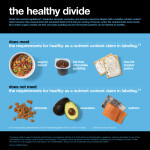 Currently, the FDA mandates that the term healthy only be used as a nutrient content claim to describe foods that contain 3g or less total fat and 1g or less of saturated fat per serving, with the exception of fish and meat, which are required by the regulation to have 5g or less total fat and 2g or less saturated fat per serving. Today’s regulations preclude nutrient-rich foods such as nuts, avocados, olives and salmon from using the term healthy as a nutrient content claim. “KIND, with the support from top global nutrition and public health experts, is respectfully urging the FDA to update its current regulations surrounding the use of the word healthy as a nutrient content claim. Our goal is to highlight the importance of following a healthy diet that includes foods made with wholesome and nutrient-dense ingredients,” said Daniel Lubetzky, Founder and CEO of KIND. “The current regulations were created with the best intentions when the available science supported dietary recommendations limiting total fat intake. However, current science tells us that the unsaturated fats in nutrient-dense foods like nuts, seeds and certain fish are beneficial to overall health,” continued Lubetzky. In addition to requesting updates to the current nutrient content claim regulations, KIND is also asking the FDA to implement a framework for regulating dietary guidance statements. Dietary guidance statements are different from nutrient content claims and would provide simple communications about the overall nutritional benefits of a food as part of a healthy diet. One example of a dietary guidance statement could be “eating nuts has been shown to be part of a healthy diet”. The idea of using dietary guidance statements to educate consumers is not a new concept. The 2003 final report from the Task Force for the Consumer Health Information for Better Nutrition Initiative (CHIBNI) encouraged the use of information on general dietary patterns, practices, and recommendations that promote health. “Such general guidance can help encourage better nutrition,” the Task Force concluded in its final report. 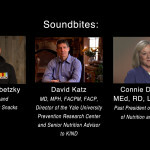 “Educating consumers about key components of a healthful diet is essential for public health and I am proud to support KIND as they launch this effort,” said David Katz, MD, MPH, FACPM, FACP, Director of the Yale University Prevention Research Center and Senior Nutrition Advisor to KIND. 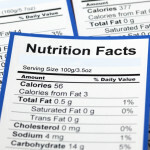 Today, regulations require that the majority of foods featuring a healthy nutrient content claim meet “low fat” and “low saturated fat” standards regardless of their nutrient density. Under current regulations, foods such as certain fat-free puddings and sugary cereals have the ability to use the word healthy as a nutrient content claim on their labels. This regulation, along with other federal standards that focus specifically on dietary fat, has caused food manufacturers to market products that are low in fat, but otherwise lack any nutrient density. The below chart provides a few examples of what foods do and do not meet qualifications for healthy labeling under this regulation. Since its founding in 2004, KIND has been on a mission to make the world a little kinder one snack and one act at a time. KIND’s snacks are made from delicious, wholesome ingredients, are gluten free and are made from non-genetically engineered ingredients. KIND currently offers seven different snack lines including: KIND® Fruit & Nut and KIND® PLUS, two lines of delicious whole nut & fruit bars; KIND® Nuts & Spices, a line of whole nut & spice bars that have 5g of sugar or less; KIND Healthy Grains® Clusters, delicious blends of five super grains; KIND Healthy Grains® Bars, a line of crunchy and chewy granola bars; and STRONG & KIND®, a line of bold, savory bars featuring 10g of protein. KIND’s newest innovation – KIND® BREAKFAST – are soft baked with a crispy outside, providing sustained energy from whole grains. Through its social mission – known as the KIND Movement – KIND, together with its community, is committed to inspiring kindness through acts big and small. It fulfills this commitment through programming like KIND Causes, which helps people bring their socially-impactful ideas to life with monthly grants. To snack happy visit kindsnacks.com, and to join the community visit kindmovement.com.